What are the 5 ways you can advance in your site rankings so that you’ll gain a competitive advantage over your competitors, drive away their customers, and rake in all the profits for yourself? The most popular search engine on the planet is Google, Yahoo, and Bing. So, if you’re running an online business, it has to be found on the 1st page of these websites. In order to lay a strong foundation for your site, you’ll have to choose the right keywords by performing keyword research. Using free tools such as Google Keyword Planner, you’ll be able to find profitable keywords, usually long tail keywords, that most small business fail to target and gain those easy and quick rankings on search engines, without burning their pockets. Why do you think people use search engines for? Well, if you’re not living under the rocks, they type keyword phrase to find the most relevant sites that will offer them give what they’re looking for. So, if you have a relevant, useful, and interesting content that matches with the search terms people type, Google will automatically share them over others. Relevant content are written around the most popular topics, and they are displayed higher than other content that are poorly written, or stuffed with keywords to influence quick rankings. After content, building quality links back to your site is the most crucial thing you must do in order to rank higher in search engines page results (SERPs). Google loves links coming back from various sources, and they see a “vote” of approval for your site. That means, the more link points back to your site, the more value search engines find in it, and as a result, display them over others with few quality backlinks. Make sure to focus on building quality links. Post on forums, blogs, and article directories that are relevant to your niche, but avoid posting on link farm. Build your links slowly to avoid Google penalty. Is your website optimized for search engines using keywords that you want to rank for? Optimizing your site around major keywords is the way to rank higher in search engines. But most site owners, especially the beginners go way too far and include flashy animation and loads of images that will only hurt their sites ranking. Check your site of broken links, remove them, and create a sitemap and submit to search engines. Social media is a hub where most of your potential clients are lurking around, searching for information that you publish on your site. Although posting Facebook updates, or tweeting on Twitter will not get the link juice you crave so much, but it definitely pays a huge role into driving people back to your site and keep them coming back by offering information they’re looking for. Everyone wants to be successful online these days because the Internet is the only place they feel they can be “boundless” as there are opportunities for just about any market/niche provided that you do things that “works” and avoid things that doesn’t help you reach to your customers and sell your products and services. You not necessarily need to have a product-related website to become an online sensation. You can promote and sell other’s products as an “affiliate” and still make a healthy income through your website. But most bloggers, website owners, and entrepreneurs usually make the same mistakes over and over again, and as a result, they usually fail. But success online is really simple. If you do things the “right” things, the “right way, and at the “right” time, you’ll start to generate 5-figure income from your website, within 6 months from now. Do a keyword research for profitable keywords. If you really want to be at the top 10 position of search engine result pages, you’ll have to go after profitable keywords that have high search volume, but low competition, so that you can quickly rank . Keywords such as long-tail keywords and product name keywords are usually profitable as these keywords aren’t targeted by most companies, but people still search for them because of new trends and technology changes that often arise. But that doesn’t mean you do not “target” on competitive keywords. Eventually, you’ll have to compete with more broad and generic keywords to drive more “targeted” customers. Do a keyword research, using Google Keyword Planner tool, before you post anything on your website. You’ll have a list of keywords to build content around it and quickly reach out to your “target” audience, as a result, save plenty of time, energy, and money on your end. Once you have a list of keywords in your hand, optimize your website around it. Using these keywords, describe your website in the home page (use “all-in-one-SEO” plugin to do this), create search-engine URLs, submit your site to major search engines, create XML sitemaps, submit your site to feed burners, etc. These small steps may not seem to make a huge difference, but it will ensure that your site is properly optimized for search engines to properly index more pages on your site. Use keywords in your titles. Most people use titles (headlines and page titles) without inserting keywords in it, or titles that are not relevant to their niche, or simply plain and boring titles that you see everywhere. Instead, try to see which title generates more clicks on your website and use similar types. Visit your competitor’s website/blog to see how they’re pulling all the traffic with their titles, and use them on your pages too. Related article: How Does SEO help in your Online Reputation? Most people think that stuffing keywords in their content will game search engines into believing that the content is highly relevant, and thereby, rank their site higher in search engines. That’s far from the truth. Keyword stuffing will never get your website rank higher, especially after the recent Penguin and Panda updates has rolled out. Using “keyword stuffing” method to influence rankings of a site is against the Google guidelines which will not only drop your website from search engine rankings, but also ban your website from displaying on it. As a result, not only you will lose your brand and online reputation, but also compromise your online credibility from the eyes of search engines. Instead of keyword stuffing, use keywords “naturally” and in a balanced way. For best results, focus on including other variations of keywords in your articles, pages, or blog posts to target variety of users who use different keyword phrases to search for the same products and services on search engines. Create a balance between content vs. links. Once people land on your website, you have to be responsible to guide them right from the start. Posting contents without any links to other relevant section is like leaving the visitors figure themselves out what to do next. They’ll feel confused and go somewhere else. Instead, include important links inside your content to continuously guide your visitors on your website, thereby offering good use-experience and helping them find relevant information at ease. But just don’t overdo it – inserting too many links on your pages will be considered “spam” by search engine crawlers. If they find you’re trying to trick search engines, they’ll abruptly drop you from the rankings and ban your site from displaying in the search engine result page (SERPs). Interlinking content on your website increases the PR of each page, and affect the overall PR of your website, thereby, making your website more “trustworthy”, the only thing you need to become successful online. People are using search engines to find products and services that will help improve their lifestyle. Most of them may not be “ready” to purchase it, but may be looking for more reasons as to why they should buy products from you. Subtle “call to action” will compel people to take actions – signup for newsletter, like you content, comment on it, share it with their friends, or simply order or download products from you. Although a “call to action” isn’t a sure-fire way to get 100% conversion rate, but at least you will increase it by 50%. That’s how most of the online business makes money from, and you should too. Include “call to actions” after the first paragraph (if your visitors already know about the product), or with the content, or at the end of the post where they’re ready to take the next step. In addition to text links, you may also include banners, buttons, flash, or any other form of clickable link. Share your ideas – is success online simple? Comment below! A consistent action towards a specific goal will yield result. Constant deviation from it will only waste your time and effort. So, if you’re running in a circle and getting nowhere with your SEO efforts, here are my 10 top consistencies principles that anyone can follow to see sudden rise in rankings in search result pages (SERPs). Previous title works better because they’re not only unique, but they also address their audience pressing issue with the simple question “Can’t keep up?” – i.e. people who have tried all sorts of weight loss programs/diets but never achieve their desired goals. Make sure to include the main keyword in the title once as most people will likely click on the title that are relevant to their searches. Google love websites that offer fresh and helpful content on a regular basis. So, if you’re not writing blogs daily, chances are that your competitors may do and take away customers away from you. In order to keep the traffic flowing to your site, make sure to post blog posts that are helpful and interesting to read for your visitors. Make each content not less than 500 word because with fewer words you cannot properly optimize your content for search engines. Visitors will have a great time reading your content that are well-written, and free from spelling and grammatical errors. On the other hand, no one can read a post that isn’t organized around a specific topic. Remember that Internet users do have short span of attention. They require small chunks of information related with the search keyword they’ve typed on the keypad. Proofreading your content before publishing will help you get rid of unnecessary topics, fuzzy logic, and bad grammars/spellings. When you focus on enhancing user’s experience, Google will automatically reward you with higher ranking. Once you’ve written and published your content, share your content on your social accounts where your friends, family members, and potential customers. You may have a great looking web design and an engaging content, but if you’re not willing to promote it, no one is going to find you on the Internet. Besides, Google loves a website that has a strong social signal. For every article or blog you publish, make sure to share a brief post on Facebook, Twitter, and Google+. In addition to sharing your posts on social media, make sure to comment on top three, or high PR, blogs in your niche to generate free backlinks. If your comments are approved, you’ll have an opportunity to attract a portion of their traffic to your site. It may sound a small thing, but if you comment on blogs on a regular basis, soon you’ll see rise in your website rankings in ways you never have imagined. Just like commenting on a blog, posting/commenting on forum threads can increase your website rankings drastically. Forums are one of the “trustworthy” sites out there where tens of thousands of people browse through daily to find reviews, tips, tricks, and topics of their interests. Posting on a regular basis on forum can not only help your website in terms of rankings and traffic, but you’ll also have an opportunity to stay current with the latest trends, techniques and what people are asking for. So, find top 3 relevant forums in your niche and start commenting on threads for each post you publish on your website. Most businesses think that targeting a certain list of keywords is enough to reach at the top position of the search engines. But they overlook that fact that their customers use different keyword phrase to search for the same products and services. So, do you have a set of new keywords to rank quickly on search engine results? If the answer is no, then you’ll probably want to contact your SEO professional and ask them to find new set of keywords in your niche and advise you how to make the most out of those keywords. In order to get the most out of your SEO efforts, you’ll have to be at the top of your game. Not only this will set you as an industry expert, but you’ll also prevent your website from unwanted attacks and virus infections. Yes, updating your website with the latest themes, plugins, and widgets will not only make your website more accessible, but also keep “unwanted” virus and malicious content at bay. Plus, when your website is updated, it will work better with the latest technologies that arise constantly on the Internet. Guest blogging is all about trying to establish a “trust” with Google. Google loves websites that are active online and participate in wide variety of link building techniques, including Guest blogging. So, if you want to see your website rise up the ladder of search engine pages, then you better connect with like-minded people (other bloggers) in your field and start sharing few posts with each others to leverage each other’s traffic and also to create a strong online presence. People are often in search of expert advice in their industry because they think these experts have the experience, the know-how, and something else that they lack. So, if you can find an expert in your industry who you think can offer insightful information that people are constantly searching for, set an appointment for an interview. Make sure to do your homework before the interview – reading their profiles, doing a background check, learning about their success and failures and how did they handled certain situations, and having all the important questions ready and organized just make the most out of the your interview. Well that’s it! These are my top 10 consistencies I wanted to share. Would you like to share yours? If yes, please comment below. Thanks. A process which re-directs users to another web page. It’s a useful way to send users from an old site to a new page. An affiliate site pays a host to place adverts and promotions for products on their site. A way to describe images to search engines. Search engines can’t process images meaning that they use the alt text to determine the content within the picture. A piece of software which compiles details how a website is accessed and used. The most popular software used by SEO firms to monitor how webpages are used is Google Analytics. The anchor text is the actual text in a web link. It shows the exact page that is being visited by users and gives an indication to search engines about what will be found on that particular part of a website. A site that has lots of links connecting to that page. Authority sites are often well ranked by search engines due to their high levels of traffic and connections to related content. Blog: A section or website which often posts content about a subject or topic. It can contain all forms of content such as articles, pictures and videos. Clickthrough Rate (CTR): The CTR measures the number of people who click on an advertisement linked to a particular phrase or keyword. Clickthrough ads are often thought to gain more traffic than banner ads. Cloaking: Cloaking occurs when websites present different data and information to various search engines. It is a technique that falls on the boundary between acceptable and unacceptable behaviour depending on the search engine. Also known as link cloaking. CMS (Content Management System): A way to manage and post content on a blog or website. Some of the more popular CMS software includes WordPress, Joomla and Drupal. Content: The actual body of a page. It is made up of text, pictures and images to give a website substance and appeal. Conversion Form: An area on the site that lets someone gain information about who is visiting the site and why they are there. Crawl: A crawler travels to different websites through the links placed on each page and gathers data on a particular subject or topic. Duplicate Content: A piece of content that is similar to something posted by another web site. Having duplicates can hurt a site’s ranking. FTP (File Transfer Protocol): This is the way file transfer between computers are monitored. Gateway: A part of a site that opens up users to the rest of a website. It can be either directly found on the web page or indirect through search engines or third party hosts. Google Authorship: Google Authorship is a way for authors to directly link their published content on the web to their Google+ profile. It allows authors and publishers to network all their work into one place. Headings: A larger piece of text that is used to sum up the main content on a page. HTML: The main language used to create a website. It puts everything into place to determine the shape, look and size of a page. 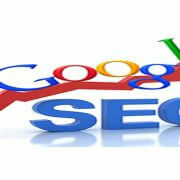 It is the main way for search engines to identify and find a page in its listings. HTTP (Hyper Text Transfer Protocol): HTTP is the way information is transferred from the website’s home location to an internet browser. It is the most common way for a web server to connect with a web browser. IM (Internet Marketing): An industry where companies use the Internet to promote or advertise a product or business. Impression: An impression is where someone will visit a webpage for the first time. Keyword Stuffing: A time where the key word appears too often in a text. Frowned upon by search engines. Link building: The way to gather and create links for a site. Meta Description: A small summary placed on search engines which describe what is on that particular page. Meta tags: Meta tags are short phrases which tell search engines what the main subject are on a web page. Often 2 or 3 are needed to ensure a good ranking. Nofollow: When a link from one site to another is blocked. It can be a way to stop competition from getting an advantage from your site. Noindex: A command which stops a site or page from being included on a search engine. Offpage: This refers to SEO methods that aren’t directly related to the webpage itself. It includes techniques such as link building. Onpage: This looks at SEO techniques that directly affect the status of the webpage. This includes inserting keywords and meta tags. Open Source: Open source platforms are programmes which lets designers tweak coding and functions thoroughly to sit their particular need and purpose. Organic Search: A way of producing results on a search engine through similar phrases or words that might be entered by a user. Page Rank: The SEO ranking given to a webpage by search engines on a particular key word. The ranking ranges from 0 to 10 with 10 being the highest and 0 being the lowest. Page Title: The name of the website that appears on the top of a browser. It needs to contain the main keyword of that site. Penguin: Penguin is a programme used by Google looking to search for any black hat SEO techniques used by websites. It demotes their ranking on the search ranking if they violate any terms or conditions. Plugins: Plug-ins are components and features of software which can be implemented into other programmes to monitor or enhance performance. Plug-ins are often used to help monitor the SEO features in web contents and articles. PPC (Pay Per Click): A basic advertising method which allows for sites to generate income for whenever someone clicks on an advertisement created by an external source such as Google. 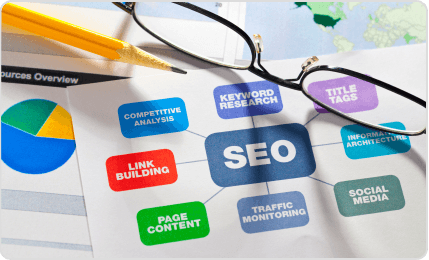 SEO (Search Engine Optimization): SEO is the process needed to make websites appeal to search engines and ensure they are ranked well to a specific term or phrase. Traffic Rank: A system which compares the busiest websites on the Internet. Unique Visitors: These are the number of different browsers who visit a webpage at any one time. They are usually indicated by a different IP address. Web 2.0: This is the new form of web pages which are designed to encourage more interaction with browsers visiting a webpage. Widget: A program created by a website that can be downloaded onto a computer and give information about a subject or topic.